My house is in an amazing (disgusting) state of disarray. Today I decided I needed to do some serious cleaning...first project: our dining room. Our family has two eating areas, but we primarily eat at the dining room table. It's one of my daughter's favorite places to hang out--so it gets extra gross. 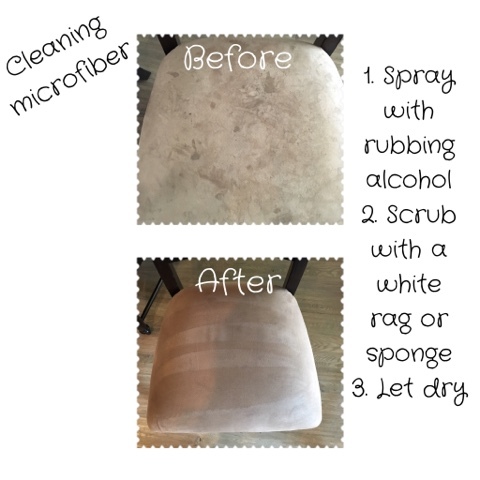 I'm amazed that all it took to freshen up our dining room chairs was rubbing alcohol!! 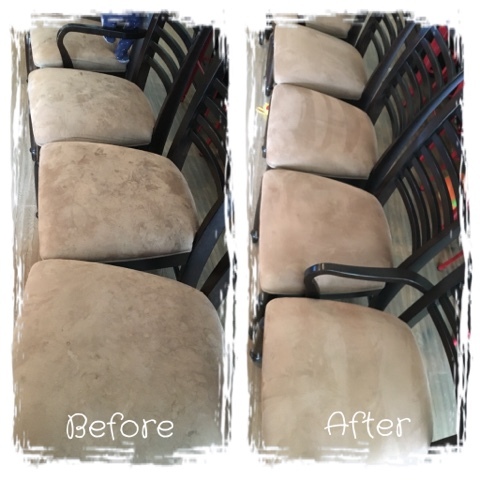 So easy and an amazing difference! Crazy, right?! It's not 100% perfect but it is so much better! !